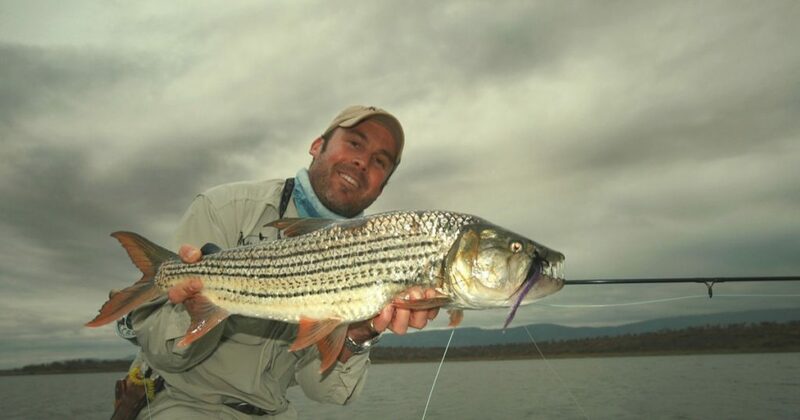 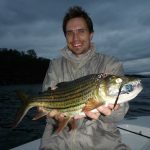 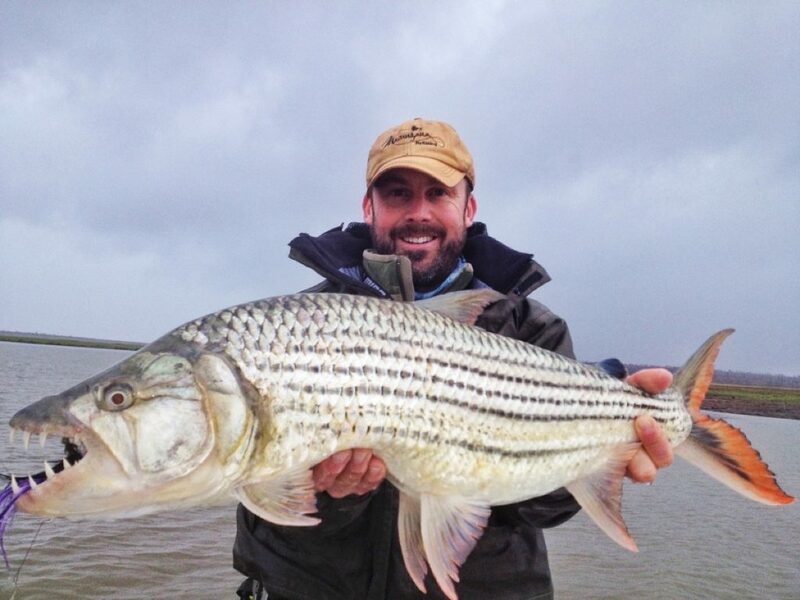 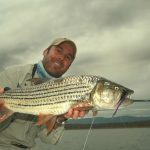 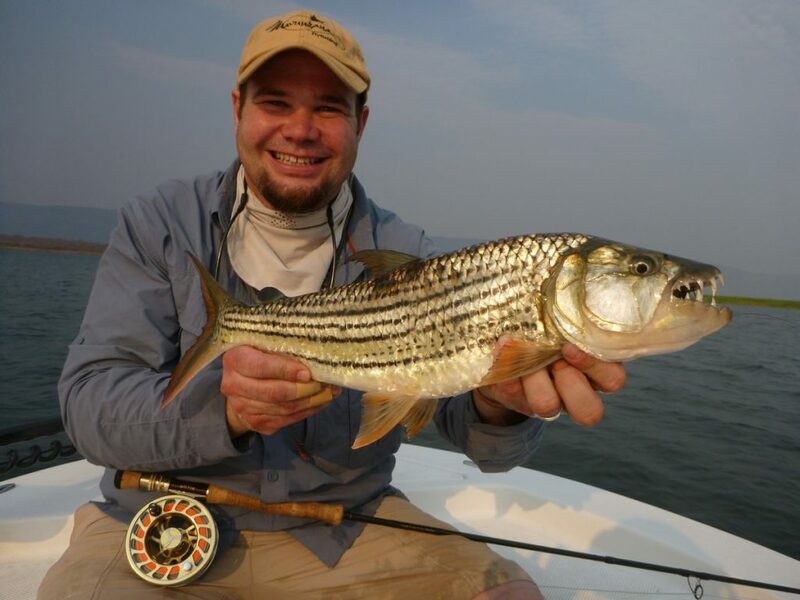 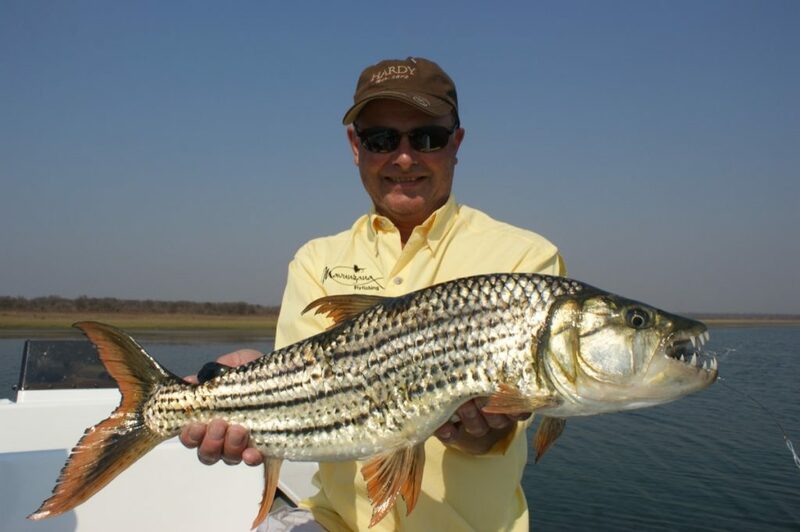 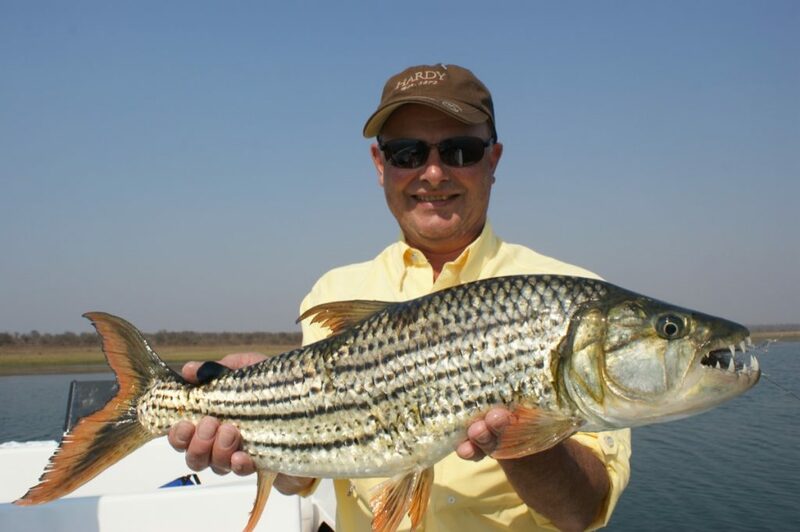 Although not reaching the size of their cousins in the Zambezi double figure fish are frequently caught here. 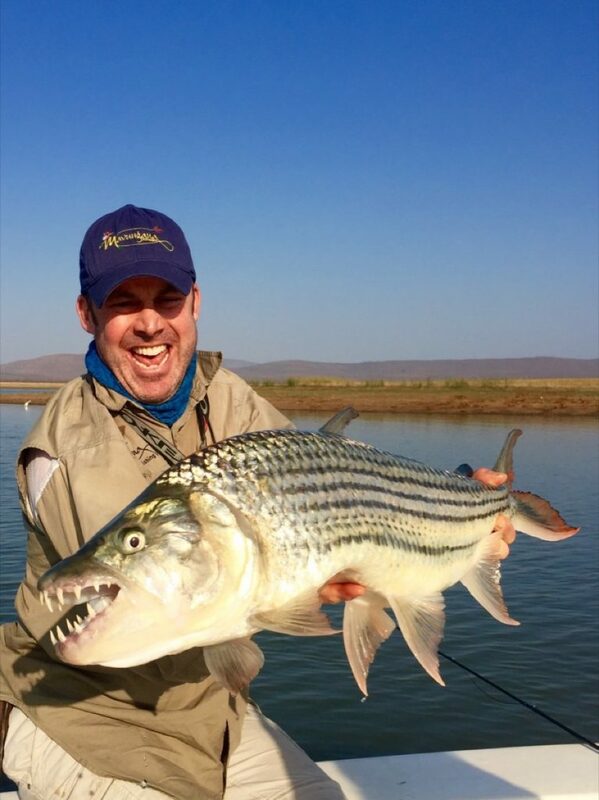 Our personal best on a fly is a magnificent thirteen and a half pounder. 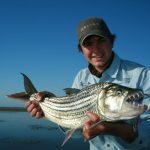 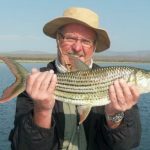 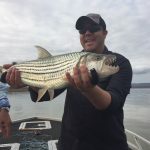 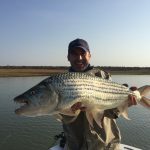 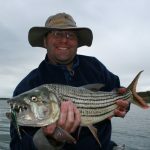 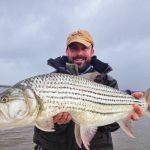 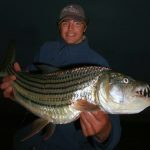 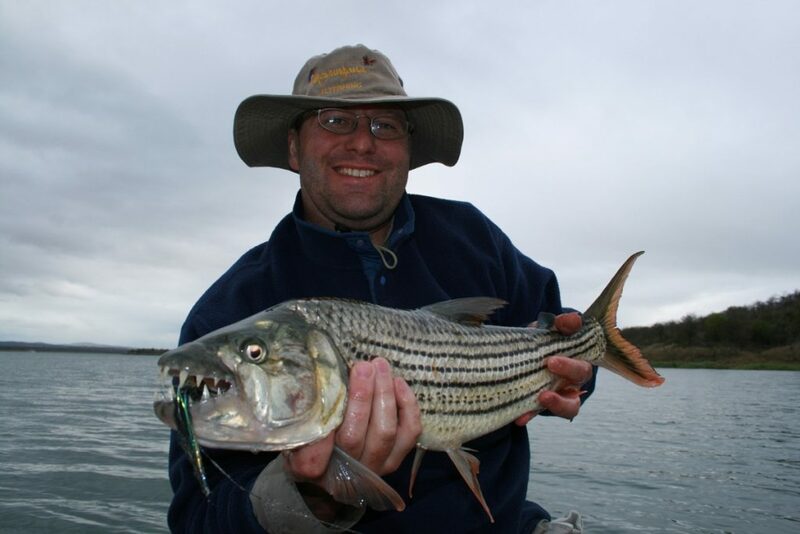 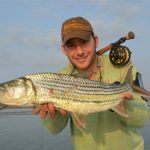 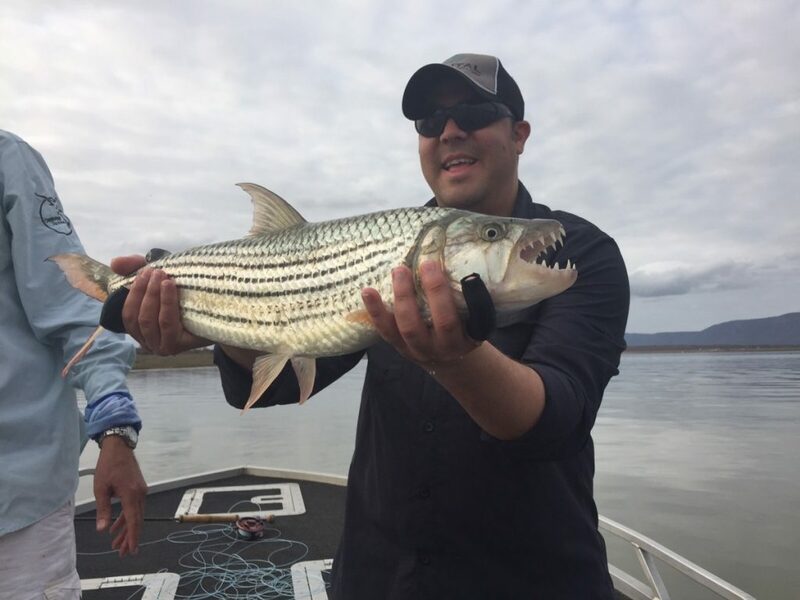 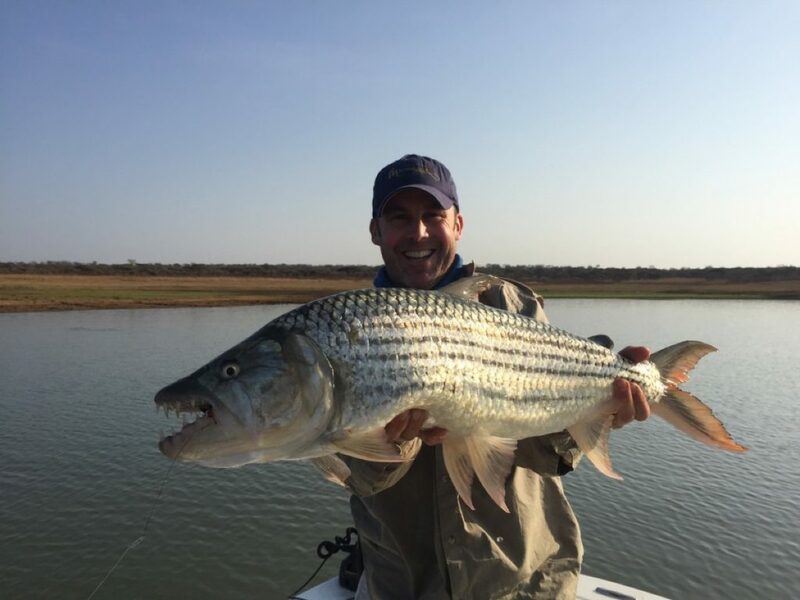 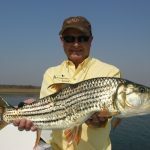 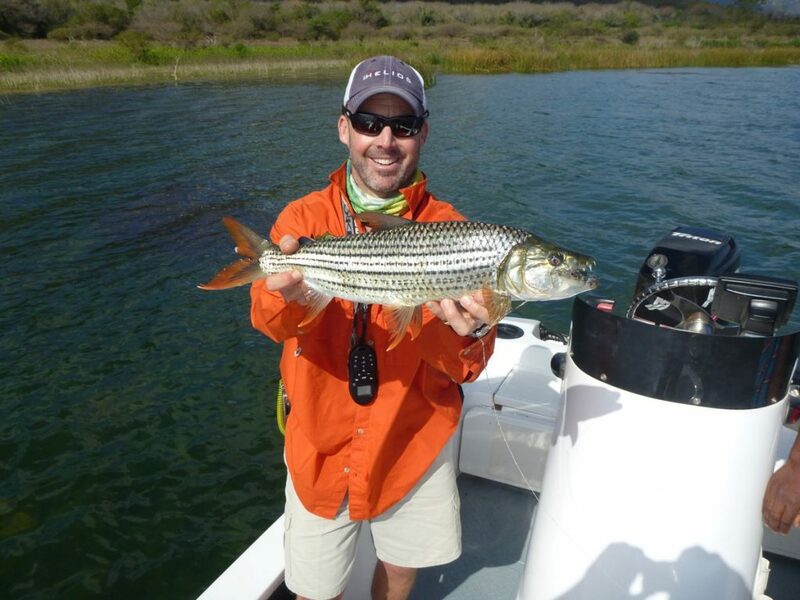 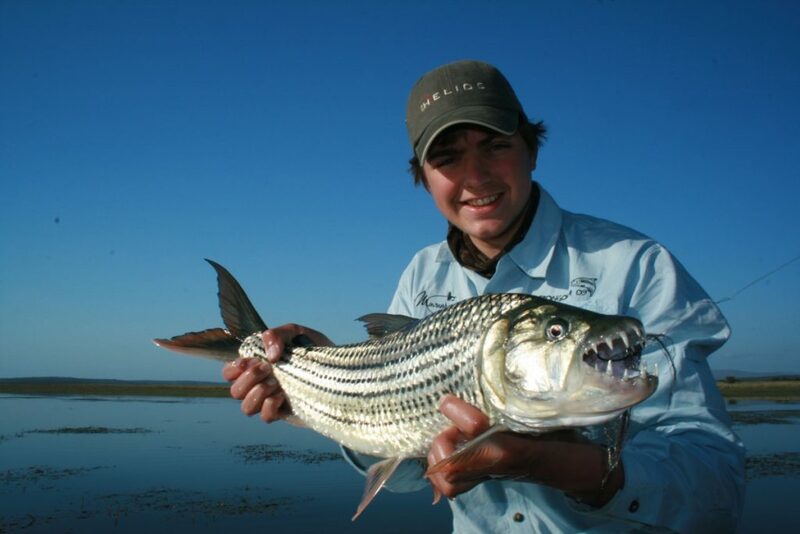 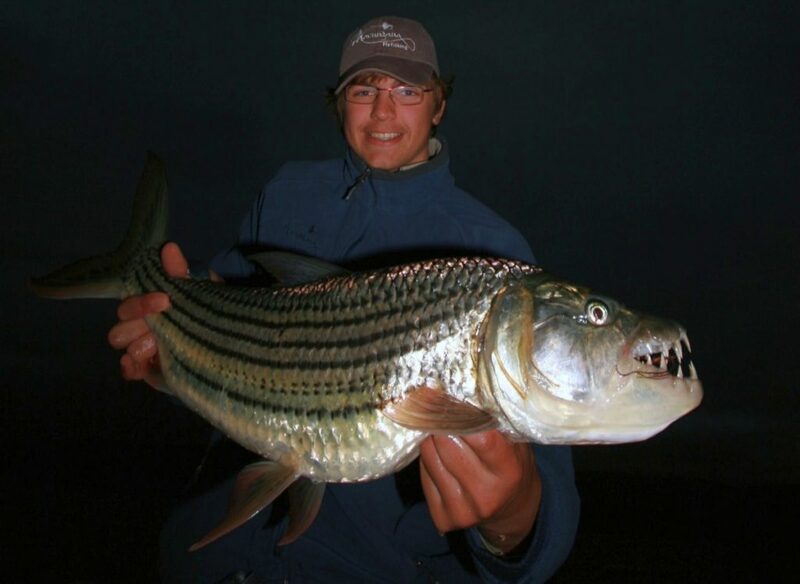 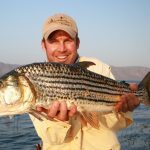 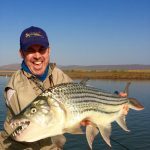 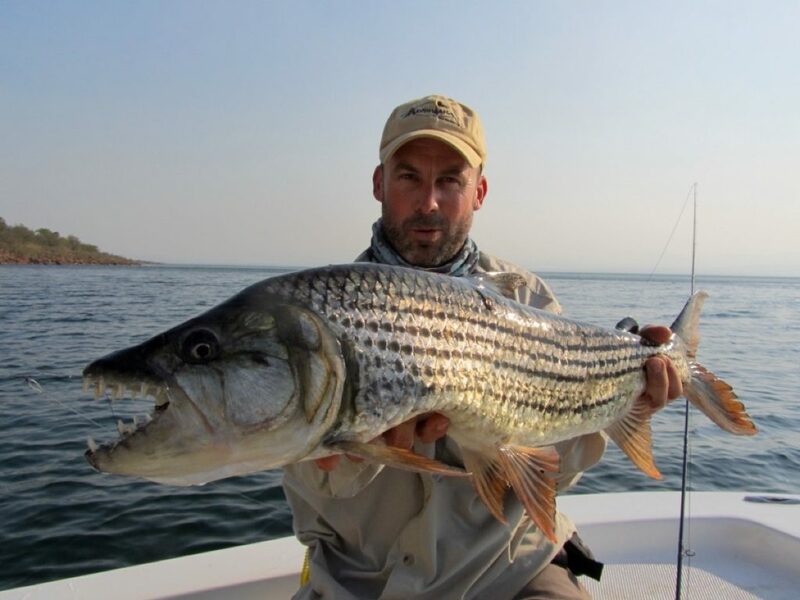 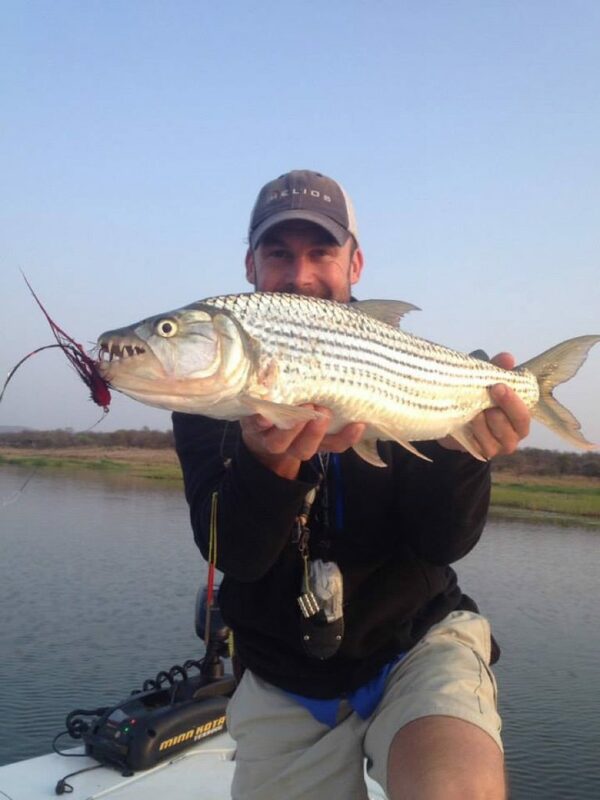 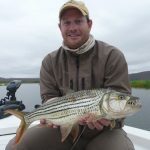 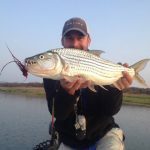 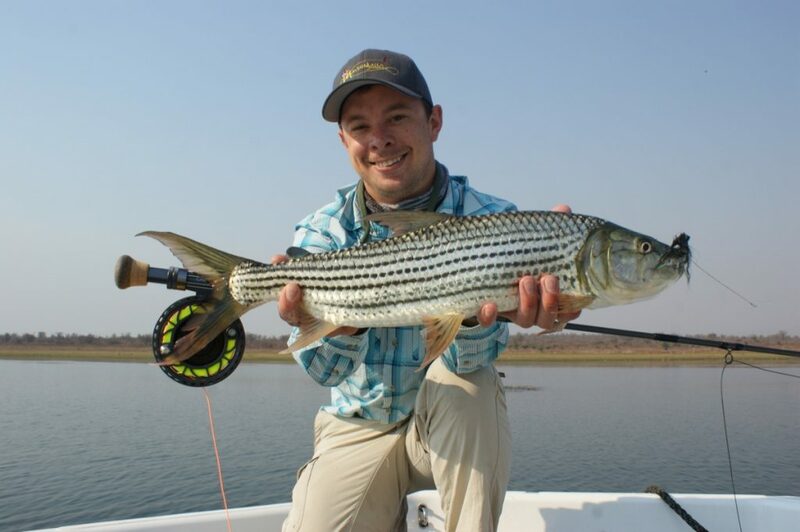 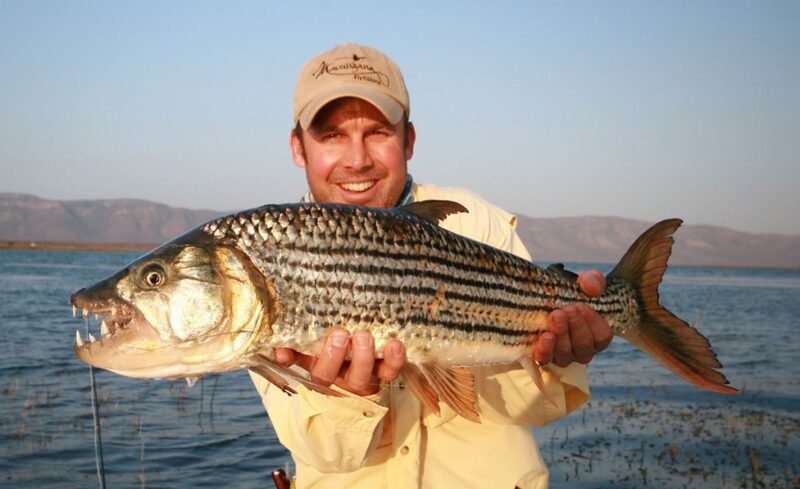 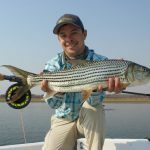 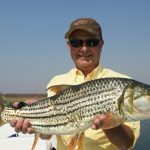 Pongolapoort Dam offers anglers a chance to catch Tigerfish in still water, which requires different tactics to those employed in the Zambezi river. 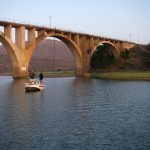 Fishing is predominantly close to the bank, in both shallow water and on the dropoffs near the many cliffs circling the dam. 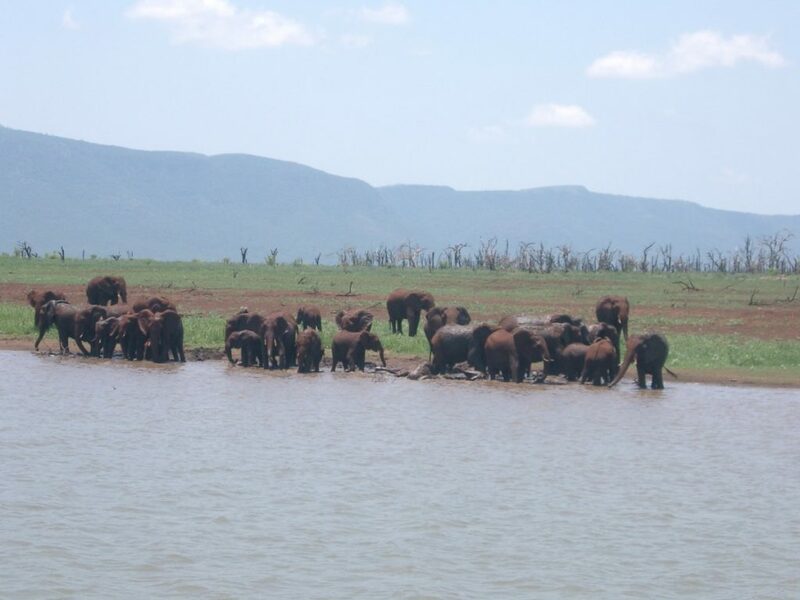 Pongolapoort dam has a variety of different habitats along its shores. 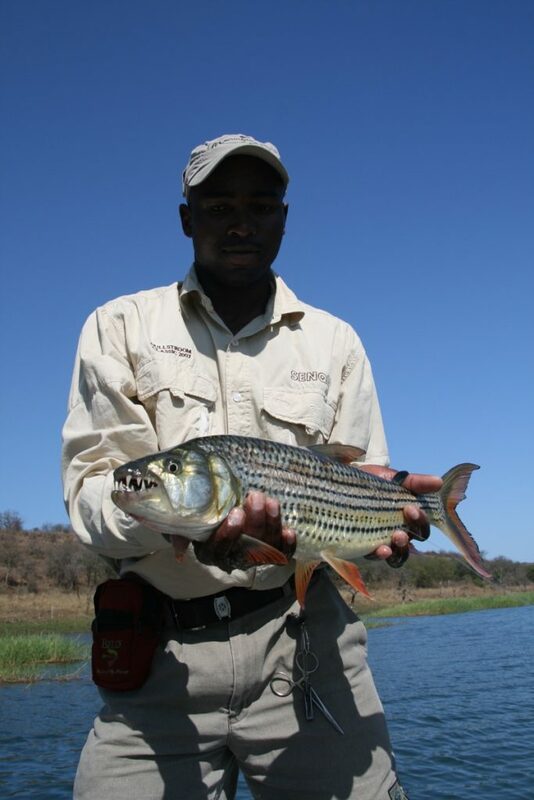 Near the dam wall, in the gorge, the banks are steep with multiple small bays, and the fishing is predominantly with the use of fast sinking lines. 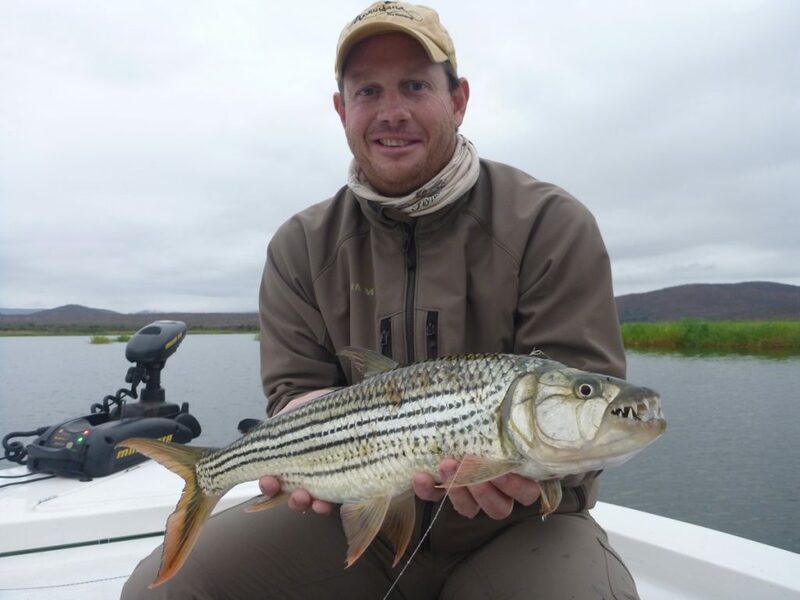 Where the Pongola River flows into the dam there are shallow bays, with large reed beds, allowing the use of sink tip lines and sight fishing. 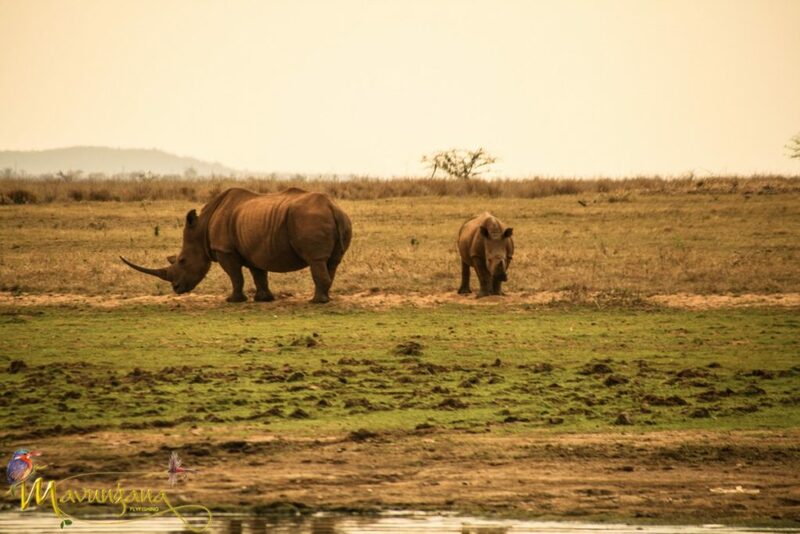 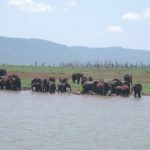 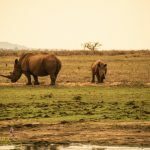 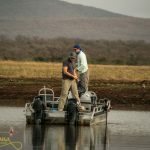 The northernmost extent of the dam is in Swaziland and just south of the border one is fishing in a National Park, were anglers relax and watch rhino and elephant drinking on the bank. 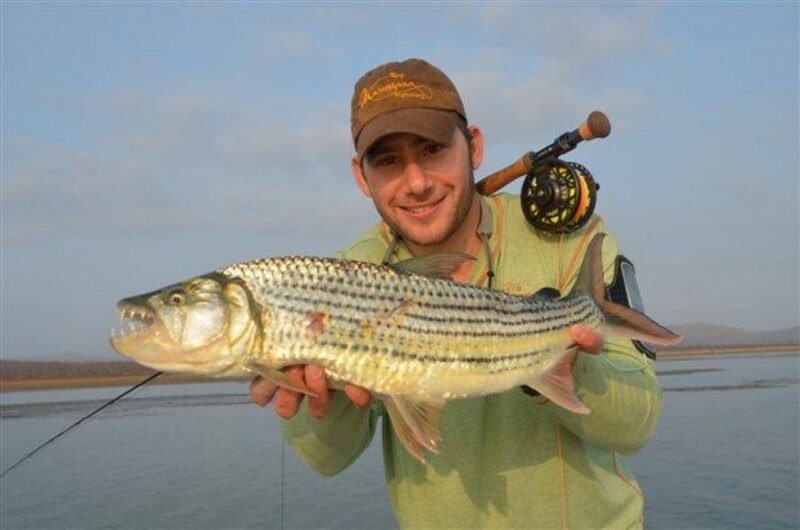 Fly fishing for Tigerfish requires an early start to the day. 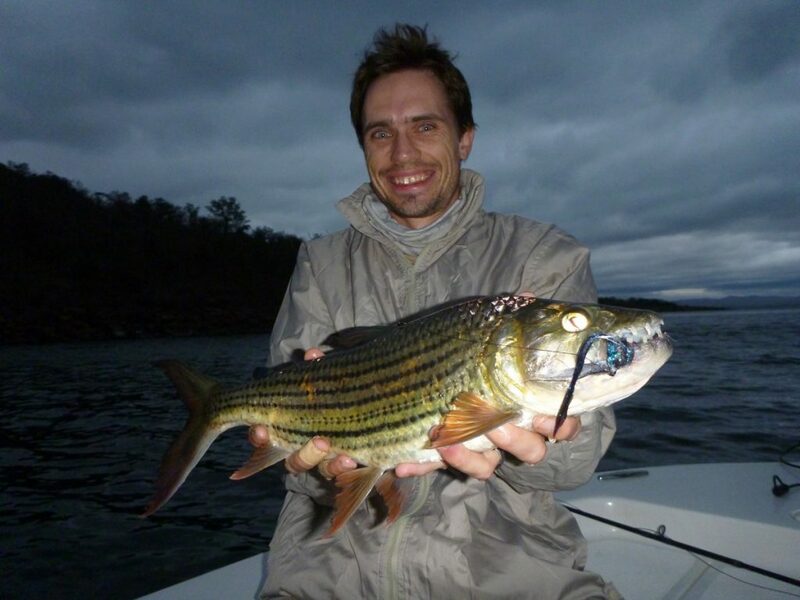 We are on the water before sunrise and the surface action at this time can be explosive. 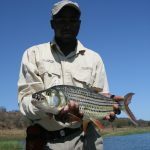 Midmorning sees us return to the lodge for a hearty brunch followed by some down time and a chance to prepare and repair tackle for the afternoon session. 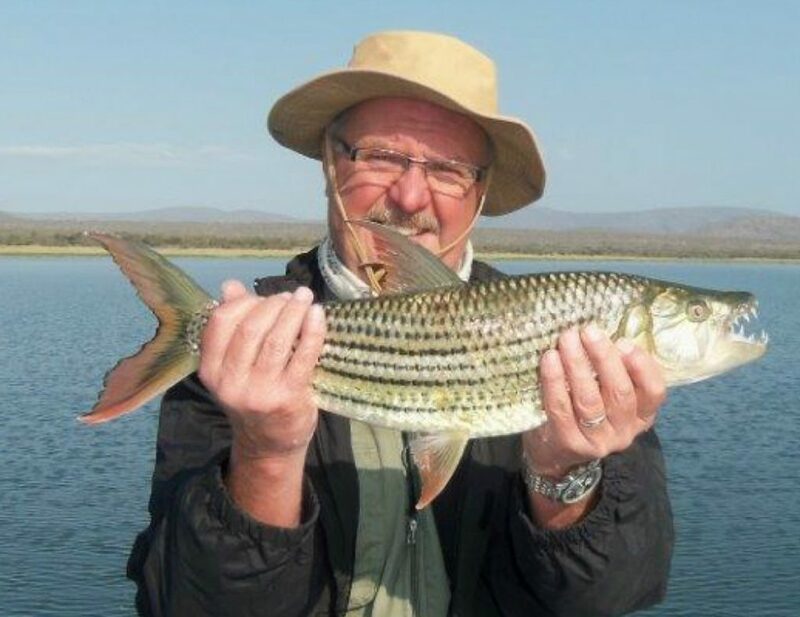 Fishermen return to the lodge at sundown and after a few cocktails on the deck settle down to a sumptuous dinner and a few bottles of wine. 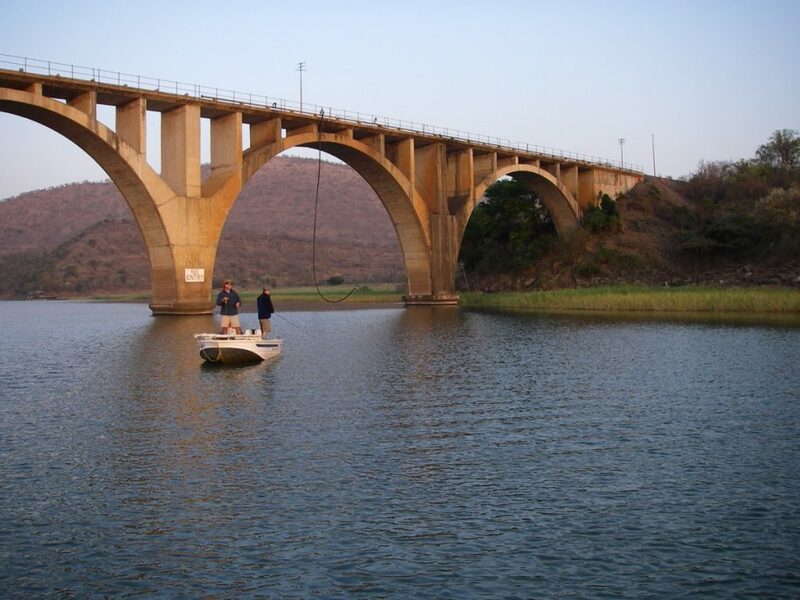 The summer months see the lake colouring up with dirty run-off, however, the water clears through the winter. 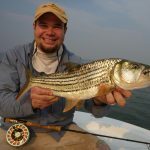 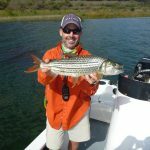 This presents a fairly short window of time that is ideal for fly fishing, as the clear water begins to warm in August and September before the first rains. 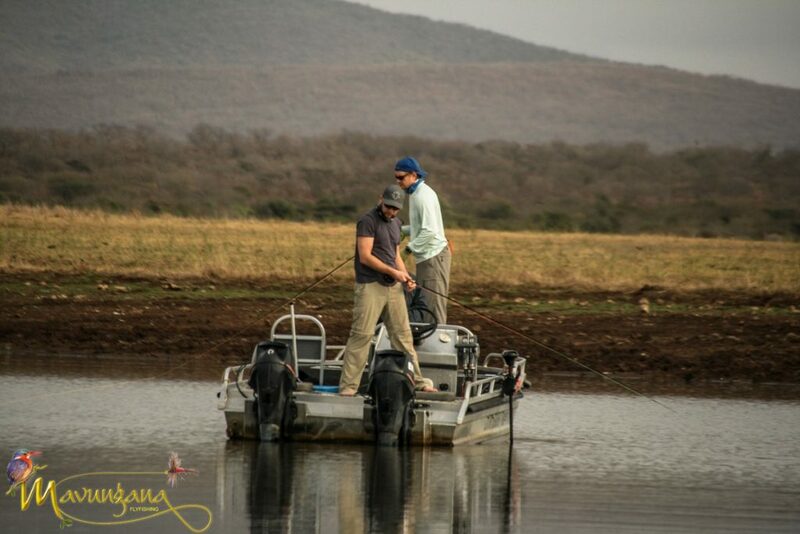 Mavungana Flyfishing has a custom built skiff with state of the art electronics including a satellite-enabled saltwater trolling motor that allows us to regulate drift speed and stay with the fish.